This week saw action in New York, California and Maryland toward a more microgrid-friendly grid via new demonstrations, legislation and policy. In New York, National Grid took a concrete step toward creating a distributed system platform (DSP), one of the most game-changing ideas that has emerged in the electric utility sector in a long time. Still conceptual, DSPs are entities or exchanges run by utilities to manage distributed energy transactions. They offer a new identity and revenue stream for utilities as consumers derive more electricity from microgrids, solar and other forms of distributed energy. Figuring out how a DSP will work has been one of the most challenging pieces of New York’s Reforming the Energy Vision, or REV. Now National Grid and Opus One Solutions plan to test drive a platform in the real world. The companies announced plans Monday to develop the first DSP field demonstration. The platform will integrate distributed energy resources from the Buffalo Niagara Medical Campus with National Grid’s distribution system. Joshua Wong, president & CEO of Opus One, said that the project will bring real-time visibility and management to the electricity distribution system and will enable new utility business models. “This first-of-its-kind platform can become a blueprint for utilities across North America,” he said. The DSP also will communicate the electric distribution system needs of the grid, and in parallel generate potential revenue and investment opportunities for institutions in the medical campus, National Grid said. National Grid and Opus One plan to develop the platform over the next two years. In all, National Grid is developing four REV demonstration projects. 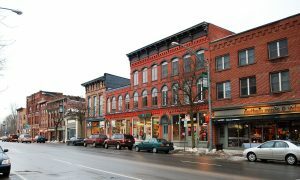 In addition to the DSP, it is working on a community microgrid in Potsdam, creating a community solar program in Buffalo and developing demand response in Clifton Park. National Grid’s selection of Opus One as a DSP partner marked the second recent big win for the software company. A week ago Opus One was named as part of a team planning a $12.4 million microgrid project with three utilities in New England and Canada. Meanwhile in Maryland, the Public Service Commission has opened a proceeding on transforming Maryland’s electric distribution system. The proceeding is an outgrowth of earlier technical conferences on rate issues that influence distributed energy resources and electric vehicles. The commission also is following up on a condition of the Exelon and Pepco Holdings (PHI) merger in May. The agreement requires that Pepco file a plan to transform its distribution system. “The commission’s recent technical conferences, PHI’s filing and initiatives of state regulators across the country on similar issues demonstrate that Marylanders could benefit from a targeted review of key aspects of Maryland’s electric distribution systems,” said W. Kevin Hughes, PSC chairman. The commission is seeking comments from stakeholders on the proceeding until October 28. The first public meeting on the proceeding is planned for early December. And finally, in California on Monday, Gov. Jerry Brown signed four bills that the California Energy Storage Alliance says will enhance markets for energy storage and distributed energy resources. 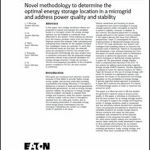 Among other things, the legislation directs utilities to consider adding 500 MW more of energy storage — above the 1.3 GW target that already exists. AB 1637, which increases Self Generation Incentive Program funding by $249 million. The state directs 75 percent of the SGIP funding to energy storage. AB 2868, which requires that the public utilities commission direct California’s investor-owned utilities to accelerate the deployment of distributed energy storage by up to 500 MW. AB 2861, which authorizes the public utilities commission to create a dispute-resolution process for interconnecting distributed energy into utility networks. AB 33, which directs the public utilities commission and California Energy Commission to evaluate and analyze the potential for long duration bulk energy storage, such as pumped hydro, to help integrate renewables into the grid. Join the microgrid discussion. 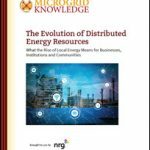 Become a member of the Microgrid Knowledge LinkedIn group. And follow us on Twitter @MicrogridNews.